First, the gastronomic treat: heartfelt thanks are due to Rotarians Kathy Short and Jean Clennell for producing sandwiches, cakes, tea and sparkling wine every bit as good as that served at Rudding Park, in my opinion. The musical treat was the serious business of the evening. 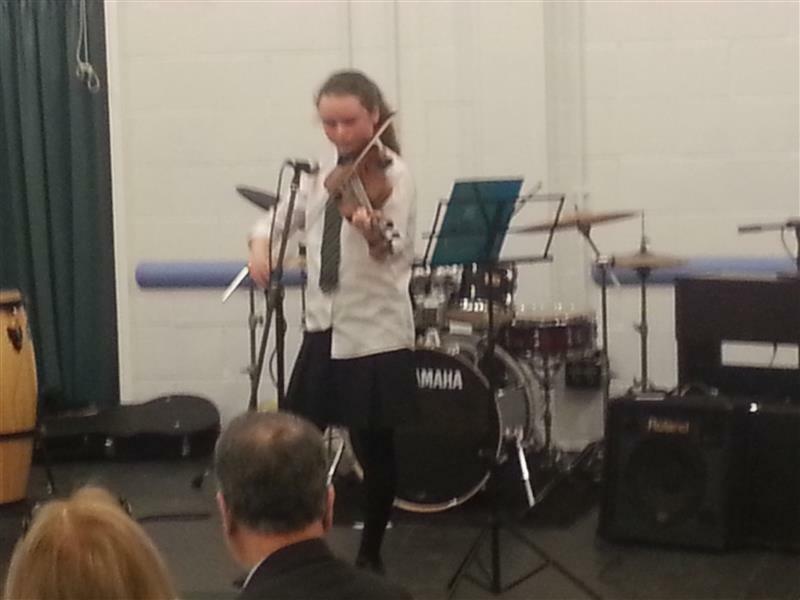 The Rotary Club of Roundhay took its first step in joining the RIBI Young Musician Competition last year, when we recruited musicians from Roundhay School, and sent two winners to the District Final at York. This year we have been able to build on that success by involving Leeds Music Education Partnership, which has widened the pool of available talent, and provided two professional judges of music, Jo Richardson and Stephen Wilde. The third judge, professional judge of criminal law but very amateur judge of music, was Rotarian Scott Wolstenholme. 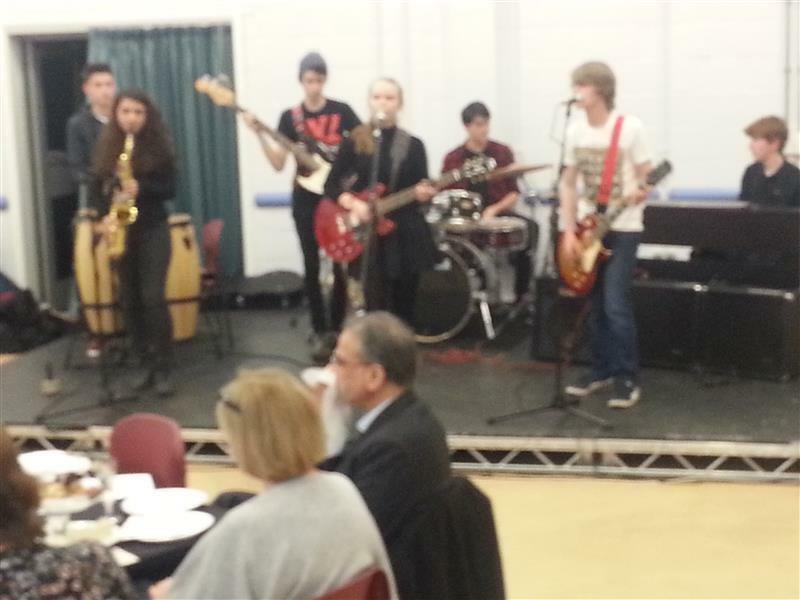 The event kicked off with an accomplished rock band of young students, put together for the occasion. 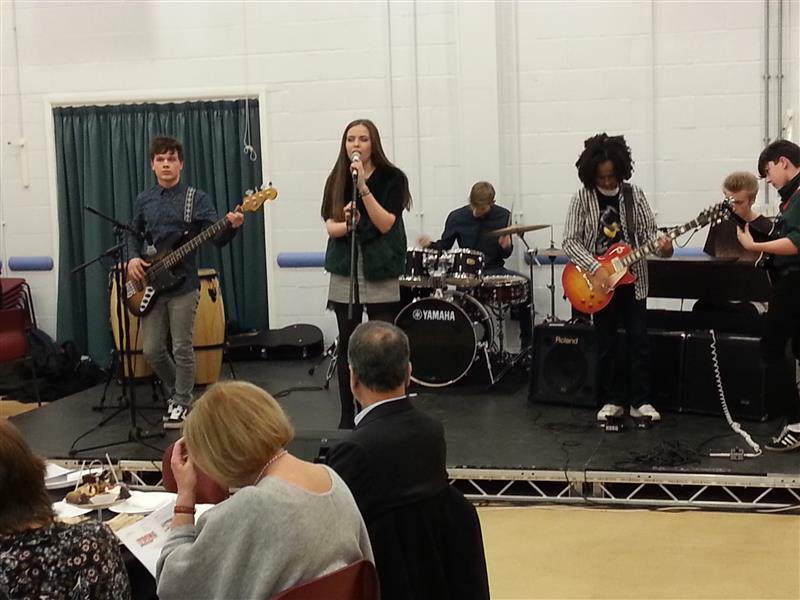 The line up of drums, bass, two guitars, keyboard and a girl vocalist nailed us to our seats with a thundering performance. Very assured, and so tight you’d have thought they’d just come off a long tour. Then we had our five contestants, from whom the judges had to select two winners to go forward to the next stage, the District Final at York. 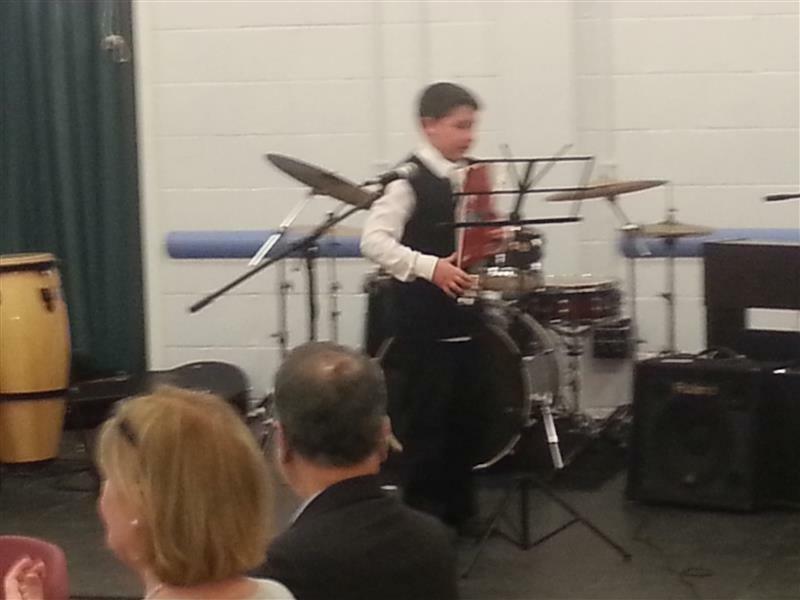 The array of talent was a treat for the audience, but a daunting task for the judges, who had to choose between singer Simran Athwal, , flautist Ben Hayes , tenor saxophonist Joe Hayes , violinist Roisin Howitt  and trumpeter Megan Spencer . The repertoire chosen by the performers ranged from classical Indian and European music through jazz to contemporary rock. 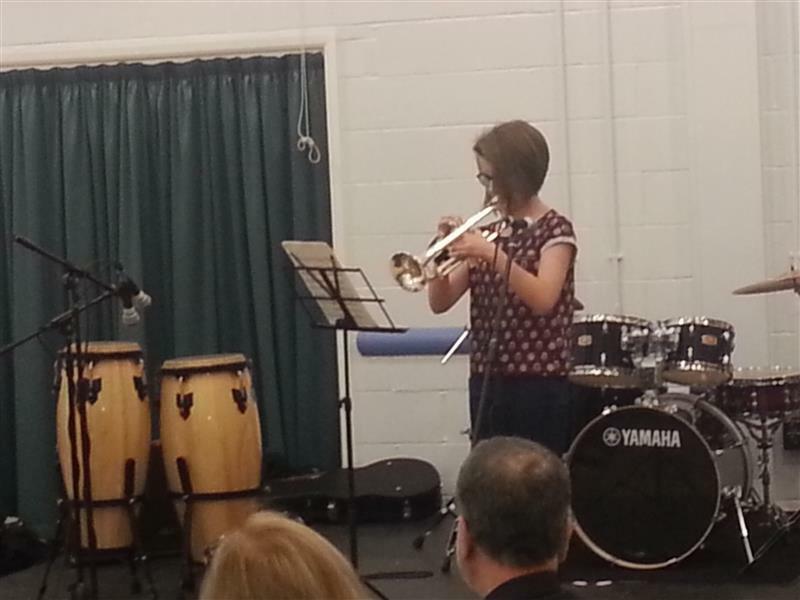 While the judges retired to consider their verdict, a second band of students from Leeds Music Education Partnership entertained the audience, the line-up including congas and saxophone. Finally, the judges delivered the verdict: all the performances were good, but concentrating on the art of communicating with the audience, the judges unanimously selected Simran Athwal from Priesthorpe School and Joe Hayes from Roundhay School, one of last year’s winners, to go through to the next round. The District Final will be held at the National Centre for Early Music in York on Sunday 13 March 2016 from 1pm.